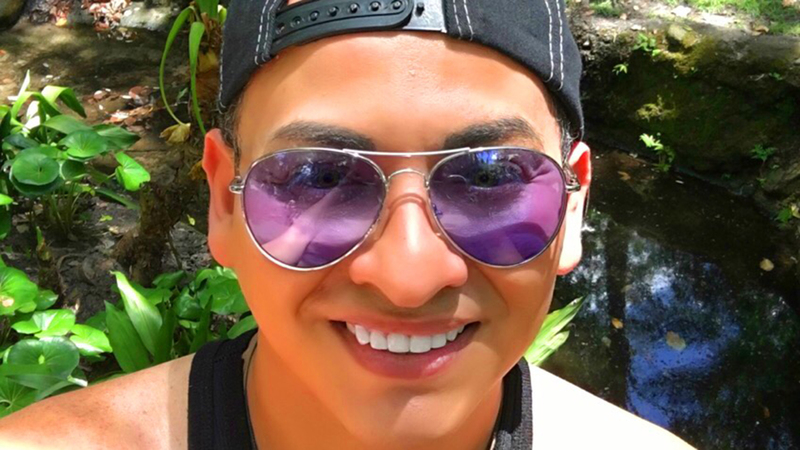 Surviving Orlando's tragedy for Ramsés Tinoco has been a long and painful process. Trying to sleep at night and return to a life of normalcy took a while. A year after a lone gunman opened fire inside the Pulse nightclub in Orlando and took the lives of 49 people, including four of his friends, Tinoco vividly recalls the details of the terrifying event and reflects on what he calls the "most difficult year" of his life. “It was a frightful thing I had never experienced before. I do not want this to happen to anyone,” said Tinoco, speaking of the massacre. He remembers having gone to Pulse to dance and have a good times like most Saturday nights. After leaving the nightclub, Tinoco returned to find Rodman; both young men emerged unscathed from the tragic episode. Tinoco says the feeling of persecution and insecurity persisted for months. The impact of the tragedy also led him to put aside his graduate studies and seek professional help. While still in the process of recovery, Tinoco had to go through another heartbreak. Chris Brodman, the friend he regarded as his brother, died of a rare medical condition during a Tampa trip-- just two months after the tragedy. "It was almost 10 years of friendship. My world fell apart again, it was very hard to overcome this.” A month after Brodman's death, Tinoco was also saddened by the death of ‘Goldie’, his dog. Being part of one of the most tragic events in the history of the LGBTQ community has changed Tinoco's perspective on life. His agenda now is loaded with events to support LGBTQ and immigrant groups, rallies in support of common-sense gun control measures and community engagement. His journey has made him realize the importance of being active in his community. Thanks to professional and family support, Tinoco has resumed his graduate studies and is now writing a book that tells his life story and talks about the fear of living authentically. "We are all equal, nobody is better than anyone and we all make mistakes. If people are able to hate is because they hate themselves and if they are able to love, it is because they love themselves. We have to forgive and get ahead,” said Tinoco, who today considers himself having overcome the effects of the painful event and is now focused on his professional career and future. HRC stands in solidarity with all the families of the victims and people like Tinoco, who continue healing from hate crimes like this. The LGBTQ community must continue to fight together against violence of any kind. The Latinx LGBTQ people are immigrants, Muslims, refugees, women, people of color and people with disabilities. HRC will continue to strive for the equality and security of the most vulnerable communities in this nation.